From writing and delivering sermons to supporting church activities of all kinds, ministers play a crucial and highly valued role in their communities. Much of the time ministers are involved in supporting, lifting up and inspiring other people. It’s highly satisfying work, but sustained indefinitely it can also become exhausting. That’s the thinking behind the pastoral supervision initiative, which offers ministers an opportunity to take a step back from their daily practice and take a look at the big picture within a confidential relationship. Now Ministries Council has new funding for the initiative and is keen to encourage ministers to experience pastoral supervision and also to recruit ministers and other qualified people to train as pastoral supervisors. The aim is to offer every minister the opportunity to have support and space to look at their practice with a fresh eye so they can feel renewed and refreshed as they grow in their ministry. “It’s like a lot of things- you don’t know how it will help you until you try it,” said Ian McDonald, Pastoral Support Manager (Maternity Cover) for Ministries Council. Rev Gillian Paterson, minister at Methil: Wellesley church says that after experiencing pastoral supervision, she would definitely encourage other ministers to try it. "I didn't know anything about pastoral supervision until I was given the opportunity to consider taking part in it,” she says. “Little did I know how enriching and encouraging it was going to be. At the time I started I had completed seven years in my first charge. “There were lots of challenges, my workload was rising and setting new priorities for myself was becoming increasingly important. But where to start? “The answer was to sit down with a pastoral supervisor, someone who offered non-judgemental, great listening skills and who taught me how to reflect on my ministry thus far. “We talked about what I had done in the past, what I was doing and how the future was looking. Knowing this was confidential, I was able to be honest and I emerged from the first year of supervision feeling stronger, more resilient and positive. “One of the greatest benefits is the opportunity to step away for one hour every couple of months to review and reflect, it is part of what I call my ‘green pen time’, a non-negotiable space for me to be ‘me’ and to have no worries about what I was saying being judged. Trained pastoral supervisors are now available across Scotland for face to face meetings. Ministers can also choose to undertake supervision remotely if they prefer. 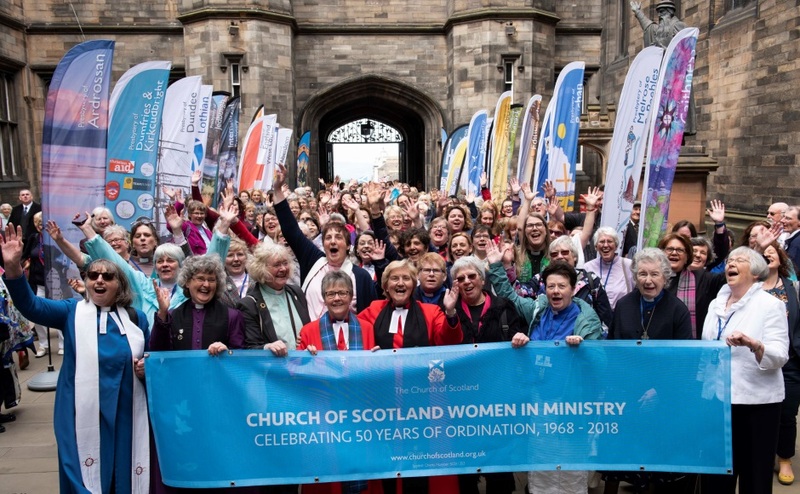 In 2018 the Church of Scotland supported 36 ministers in receiving pastoral supervision. The new funding will pay for six Pastoral Supervision sessions for each minister who wants to take part. Ministries council is also supporting people who want to train as pastoral supervisors. Pastoral supervisors come from a variety of backgrounds including ministry, chaplaincy, counselling, healthcare and church pastoral work. The next training course is scheduled to begin in April 2019 and will take place over four two-day residential blocks at Old Churches House in Dunblane. The training will be led by Rev Dr Michael Paterson, a Scottish Episcopal Church priest and founding member of Association for Pastoral Supervision & Education (APSE) and Director of the Institute of Pastoral Supervision & Reflective Practice. Those who successfully complete the course will receive a Certificate in Pastoral Supervision from the Institute. The Certificate meets the training requirements for accreditation with APSE (The Association of Pastoral Supervisors and Educators) and participants will have begun to log the necessary practice hours. The course covers topics ranging from the theology of pastoral supervision and its place within ministry and mission to the core skills needed to support reflective practice. As part of the agreement to provide the training free of charge, trainees will be asked to commit a period of time, through Ascend, to providing pastoral supervision in support of those in ministry. At present there are 22 pastoral supervisors available to support the Ascend programme. They are listed on the Ascend website and must either hold external accreditation, or be working towards accreditation with a relevant body such as BACP or COSCA or APSE. Dates for the next residential training are: Apr 2 and 3; Apr 30 and May 1; May 28 and 29; Jun 18 and 19.